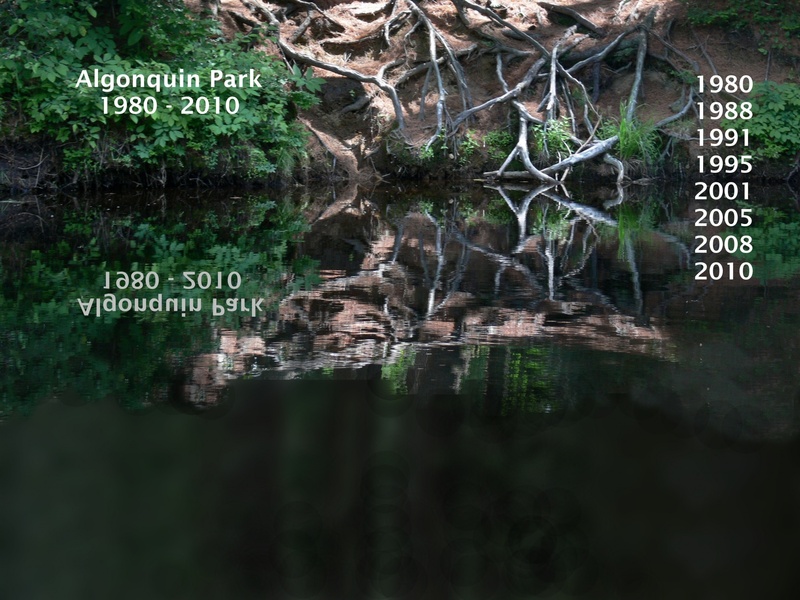 By 2010, after thirty years of marriage, my wife and I had already camped in Algonquin Park seven times. Three of those - our honeymoon in 1980, and then again in 1995 and 2005 - we camped without kids, so we were keen to go back in 2010 with just the two of us. But now we wanted to up the ante by camping in the interior again, thirty years after the abandoned attempt at canoe tripping on our honeymoon. We decided to try a compromise between car camping and canoe tripping. Canisbay Lake had a number of sites that we could canoe into and just stay put. We had already camped as a family in the Canisbay campground, so this seemed safe. We didn't go to much trouble minimizing equipment so that we could travel light. We simply resigned ourselves to taking in two canoe loads of stuff, since we wouldn't be that far from the parking lot.